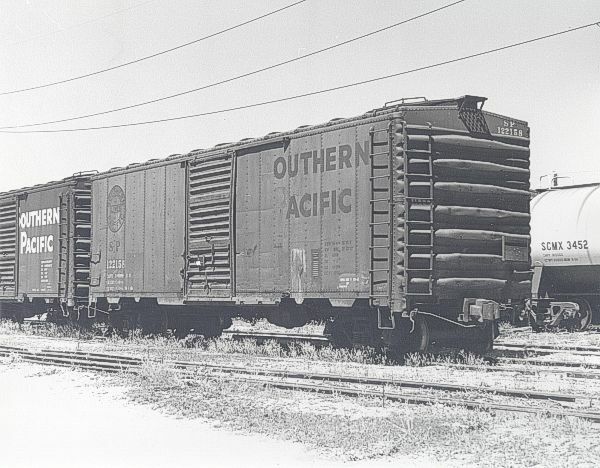 These 40'-6" box cars were all built to the same basic design by Mount Vernon in 1946 and featured 3715 ft3 capacity, 6'-0" Youngstown doors, 3/4 early improved Dreadnought ends, Hutchins panel roof, Barber S-2 trucks, alternate-center-rivet pattern sides and Morton running boards. 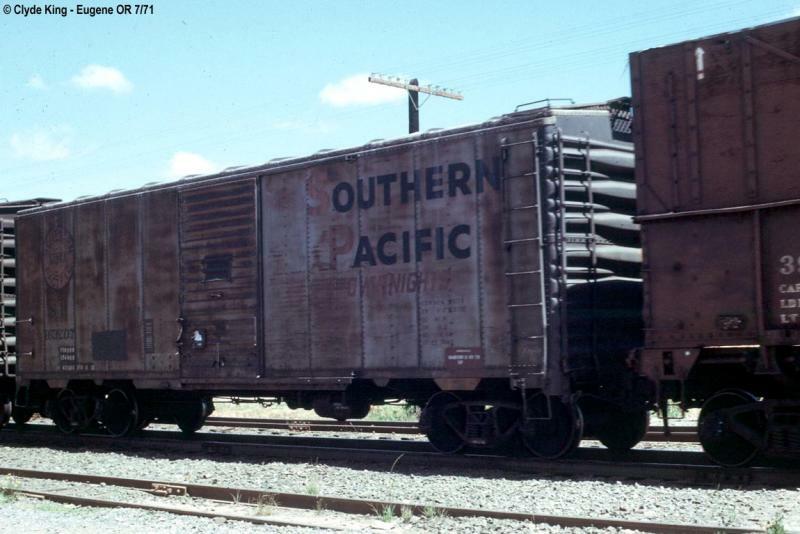 SP 5700-5749 were delivered in dark olive for head end box express service. 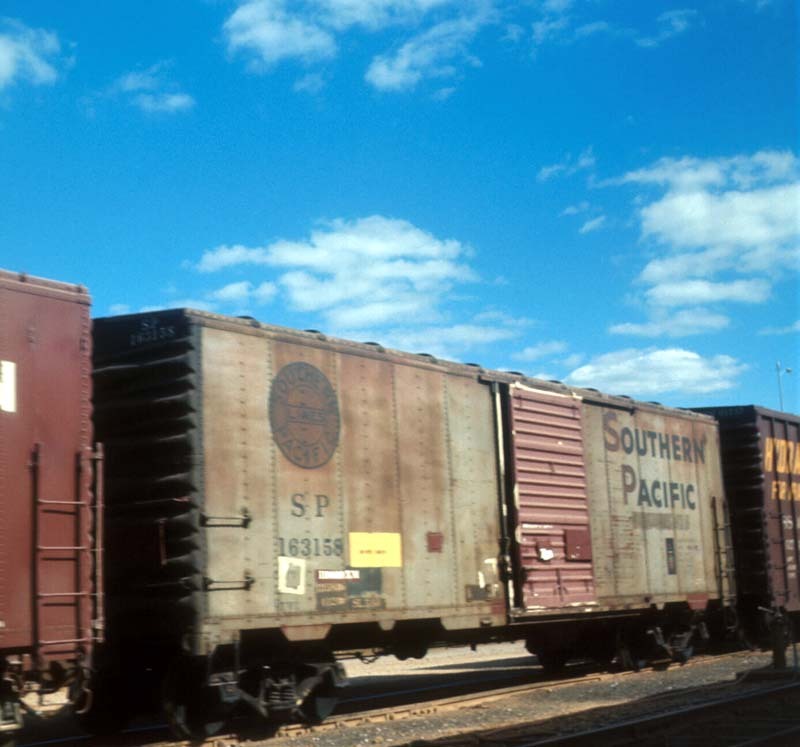 For more information on these cars, see the February and March 1993 issues of Railroad Model Craftsman magazine for an in depth article by Tony Thompson. Photo by: Brian Ehni This car is one of 300 renumbered in 1956 to SP 163049-163348 and painted in the silver Overnight scheme.